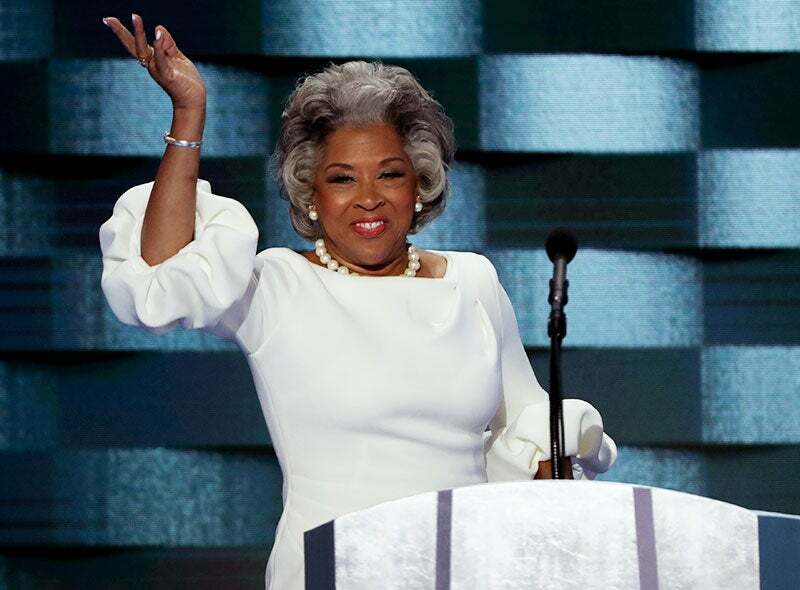 Congresswoman Joyce Beatty made headlines at Thursday's DNC when she took the stage wearing the same dress Melania Trump. Congresswoman Joyce Beatty made headlines with her Thursday night DNC appearance. She took the stage wearing the same dress Melania Trump wore at the RNC, where she delivered a speech partially-plagiarized from the First Lady’s 2008 DNC speech. But there’s much more to this extraordinary woman than just a cleverly-timed fashion jab. Here are five facts to bring you up to speed on the fearless Joyce Beatty. Earlier this month, Congresswoman Beatty delivered a powerful speech from the House floor, where she urged Democrats and Republicans to take action against gun violence by passing legislation on stricter gun laws. She also praised NBA players LeBron James, Carmelo Anthony, Dwyane Wade and Chris Paul for using the ESPYs as a platform to bring awareness to the issue. Hailing from Dayton, Ohio, Congresswoman Beatty earned her Bachelor’s degree from Central State University (an HBCU) and later went on to receive her Master’s degree from Wright State University. After her husband retired from the Ohio House of Representatives in 1999, Beatty replaced him. She was re-elected for four consecutive terms through 2008. In 2006, she was appointed as the Minority Leader of the Ohio House of Representatives and became the first female Democratic House Leader in Ohio history. Given Beatty’s background, her bold fashion gesture at the DNC should come as no surprise. In addition to just being a Black woman who rocks, she is also a proud member of Delta Sigma Theta Sorority, a national spokesperson for the American Heart Association and the former SVP for Outreach & Engagement at The Ohio State University. She has also received awards from several national organizations including the NAACP, The Urban League and the YWCA. Check out her speech in full below.